Central Board of Secondary Education (CBSE), Delhi has issued notification for CTET February 2016. 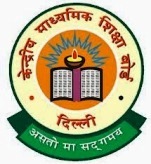 CBSE will be conducting the Central Teacher Eligibility Test (CTET) 2016 on 21st February 2016. How to Apply: Eligible and interested candidates should go through detail notification and The application for CTET - FEB 2016 has been made completely online with the facility to upload latest photograph and signature of the applicant. The particulars will be filled online and the scanned images of latest photograph and signature (in JPG format only) will be uploaded at the time of filling the application form. The candidates are advised to keep the scanned images of latest photograph and signature of the candidates ready in JPG format before applying online by 28th December 2015.